Tickets available here. Book soon to avoid disappointment. 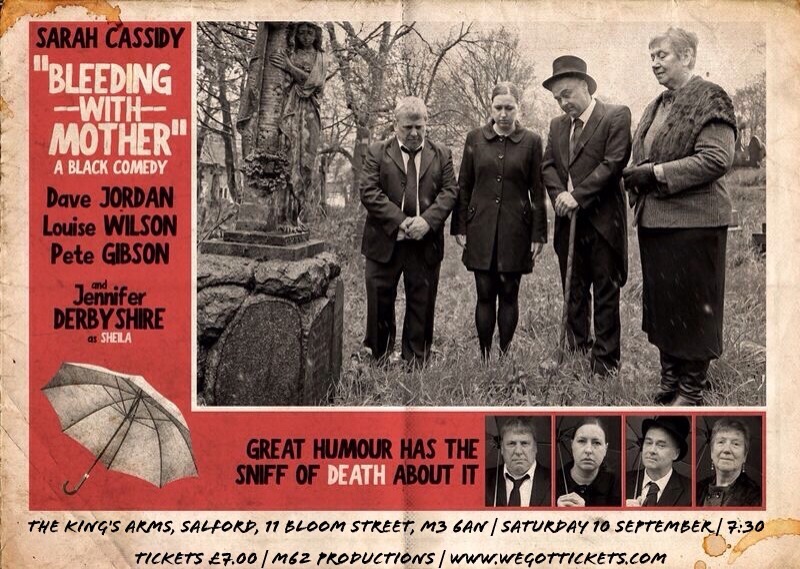 This entry was posted in Bleeding with Mother and tagged blackcomedy, drama, Fringe, gullivers, Joshua Brooks, Manchester, nexus, theatre.